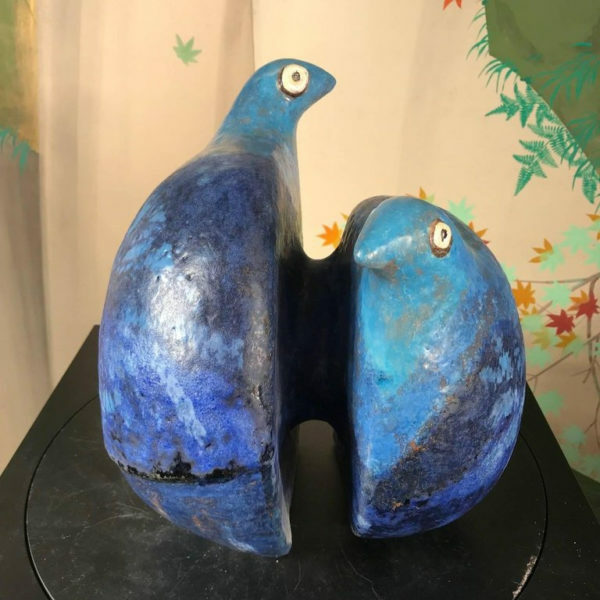 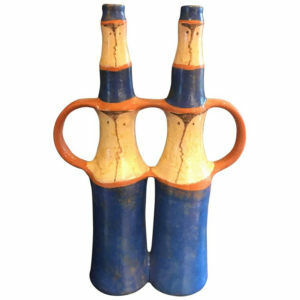 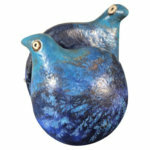 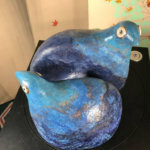 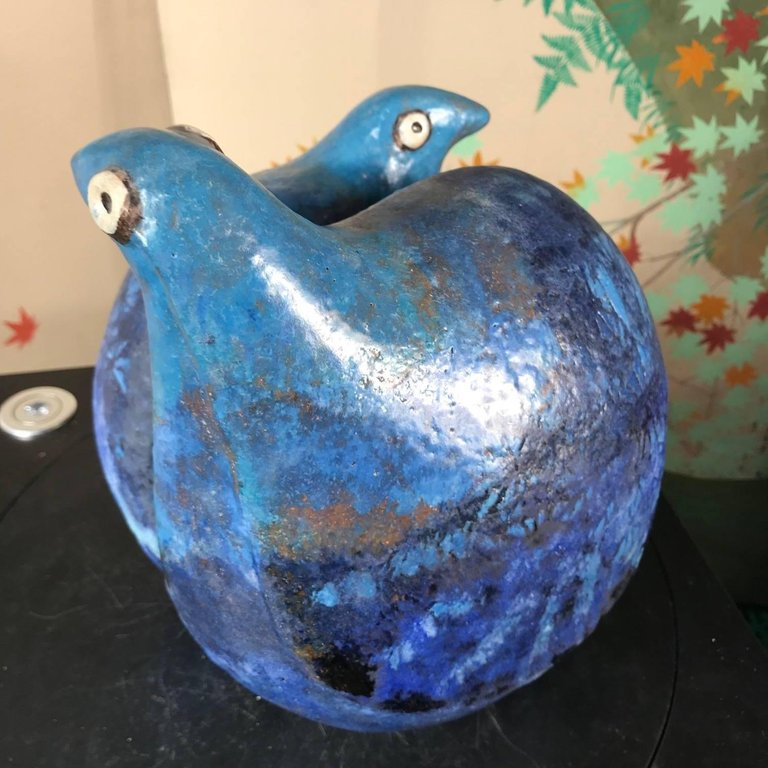 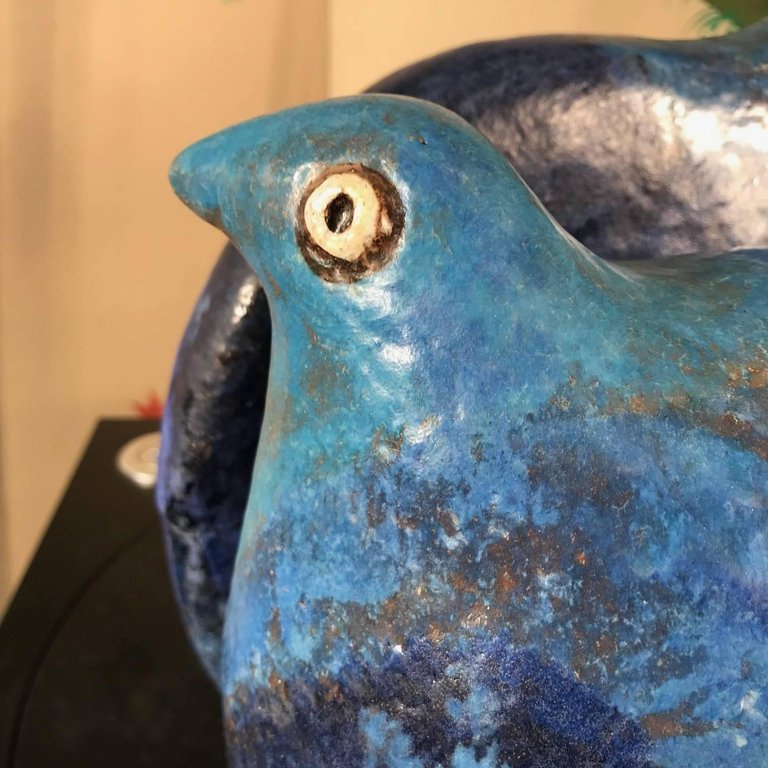 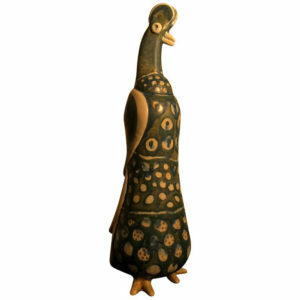 A superb conjoined sculpture of two dove birds sculpture master work designed and hand-painted by Eva Fritz-Lindner, circa 1992. 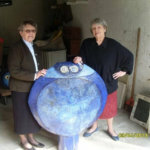 This is the only example of this sculpture we have seen. 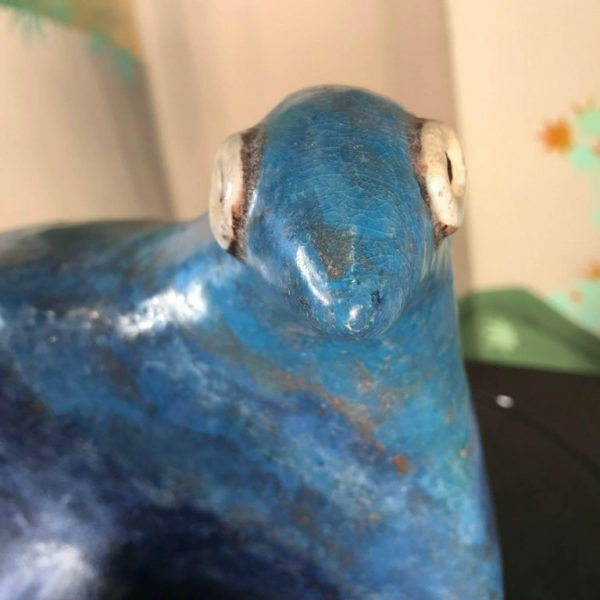 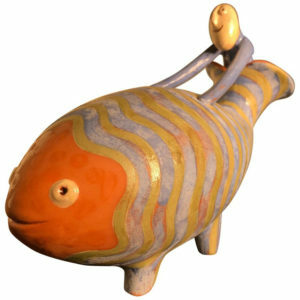 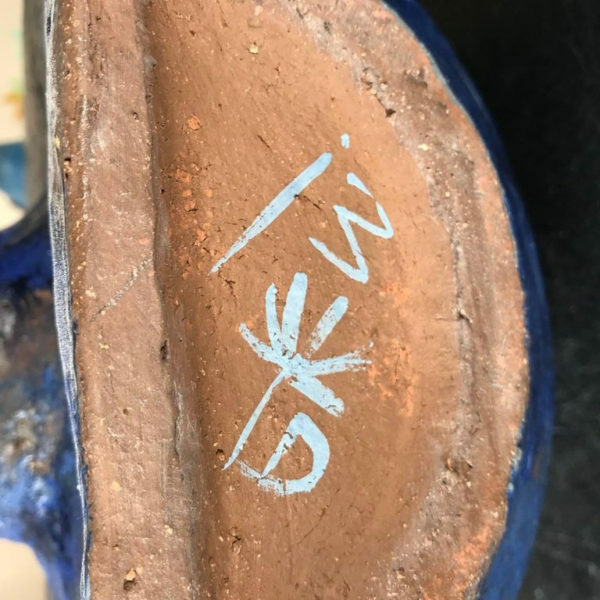 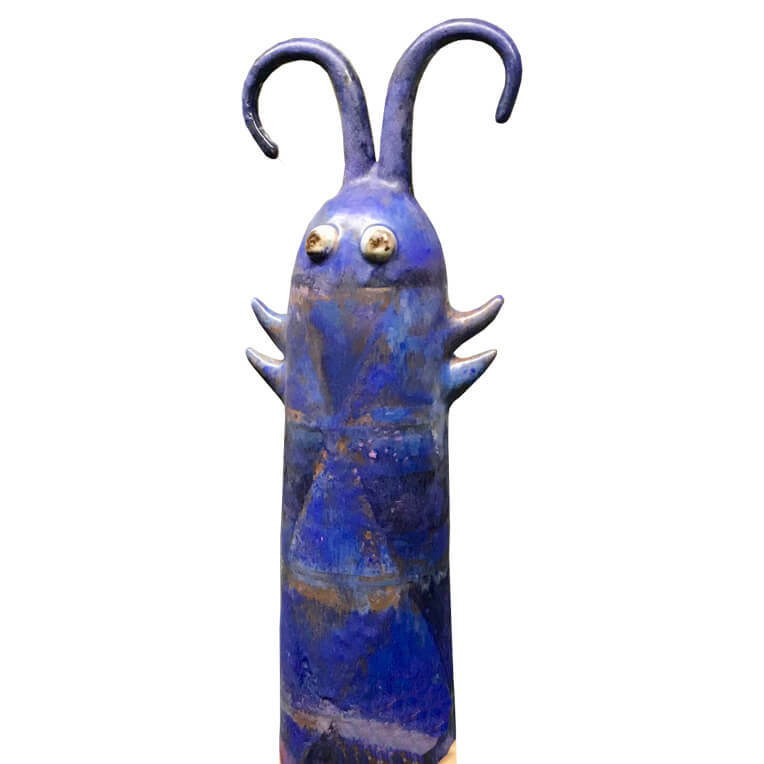 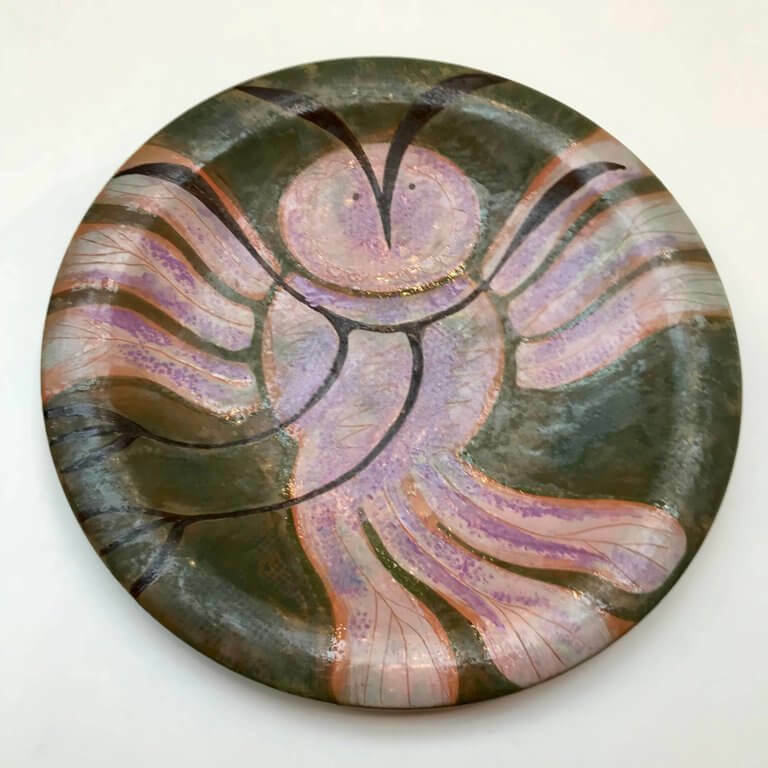 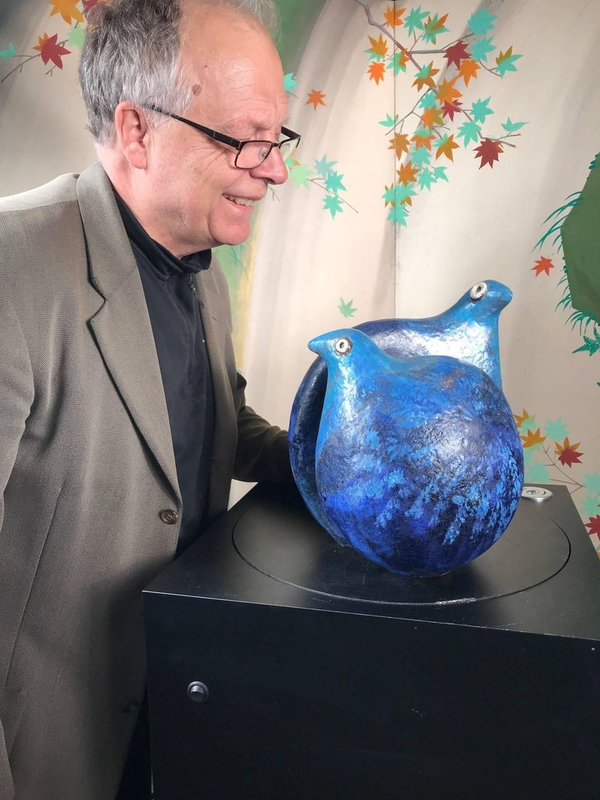 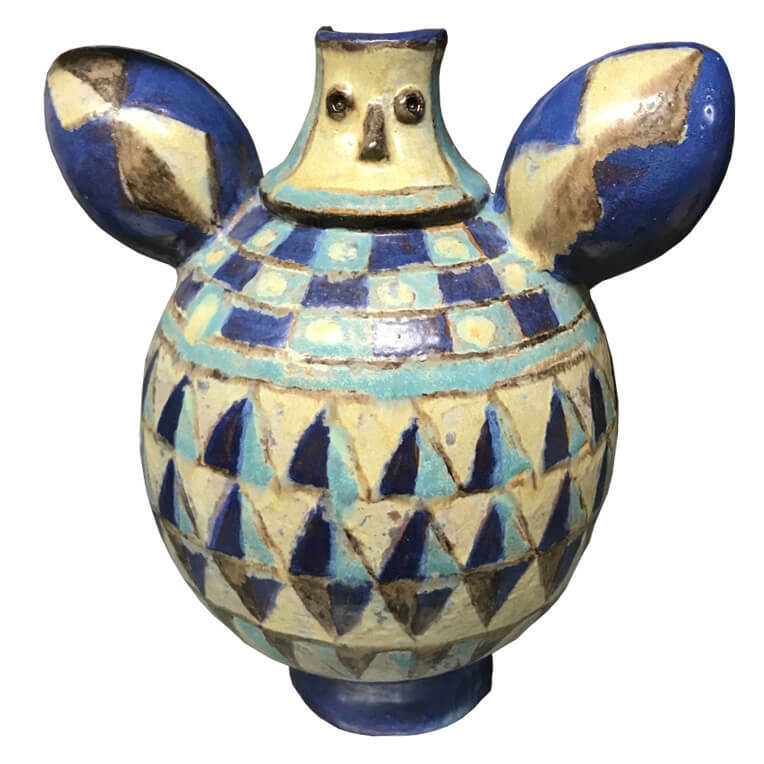 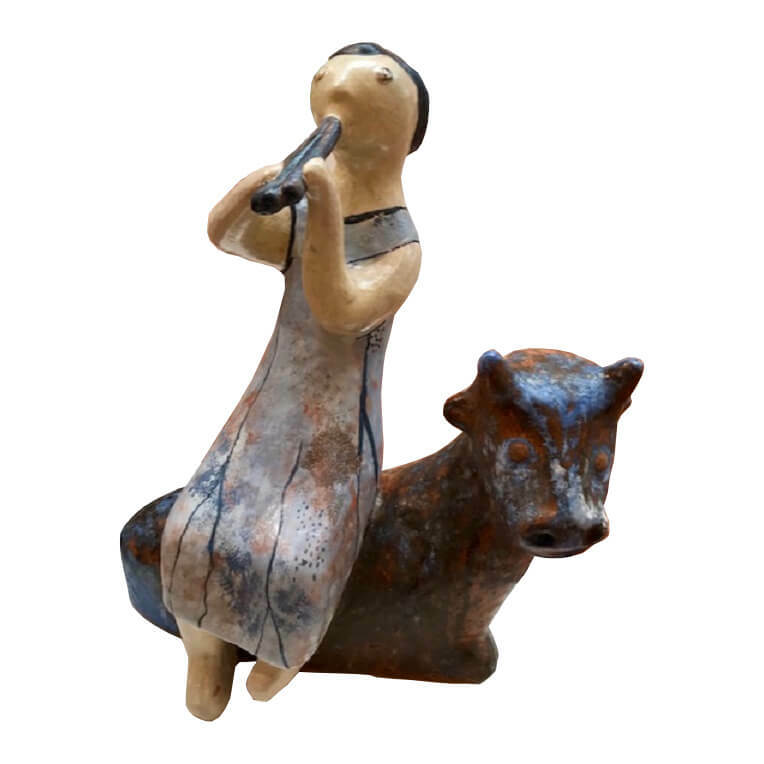 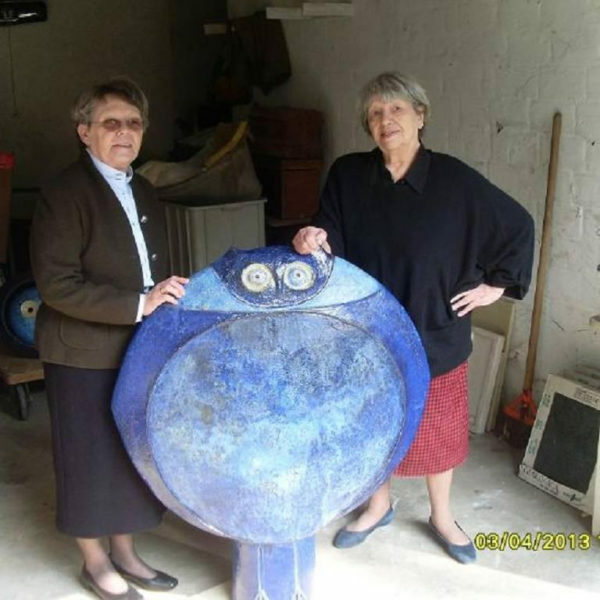 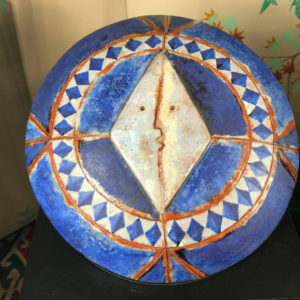 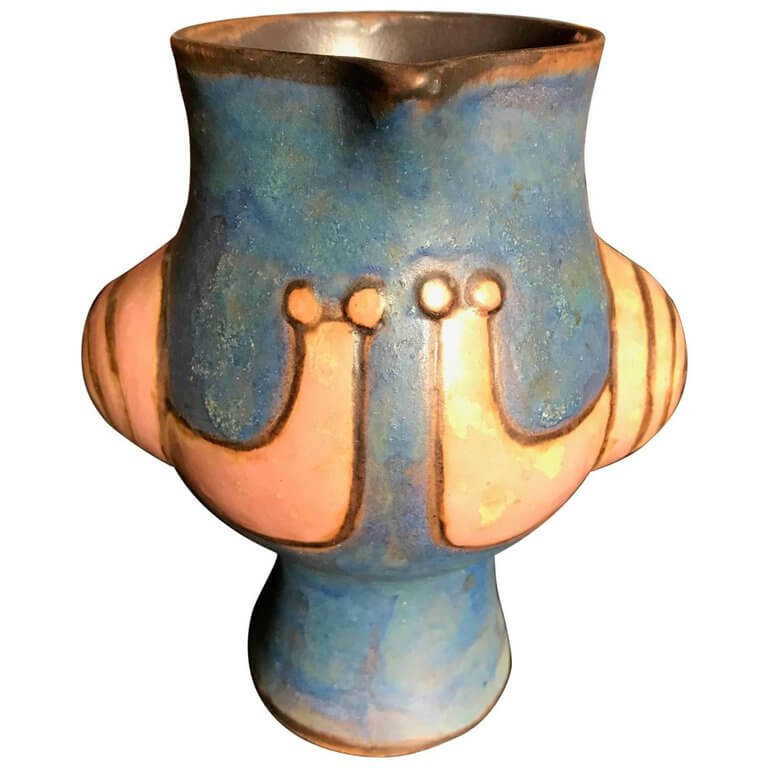 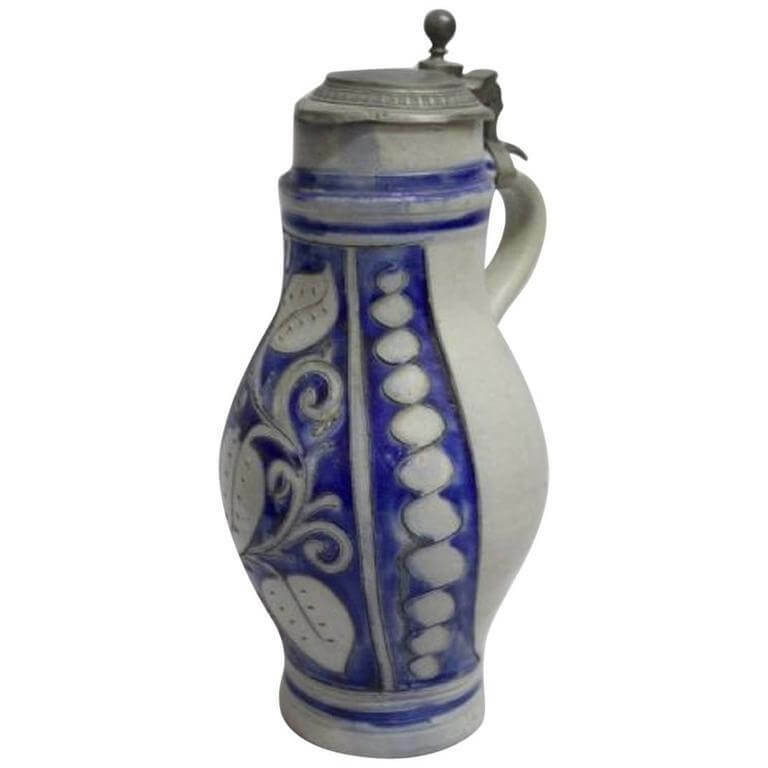 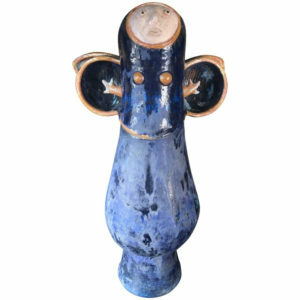 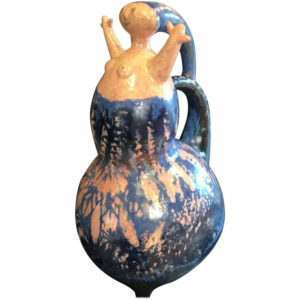 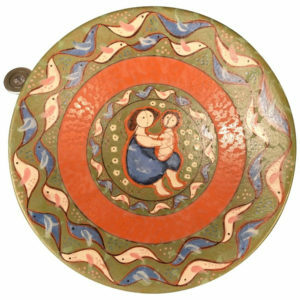 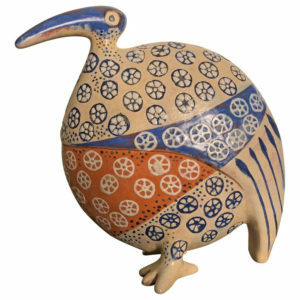 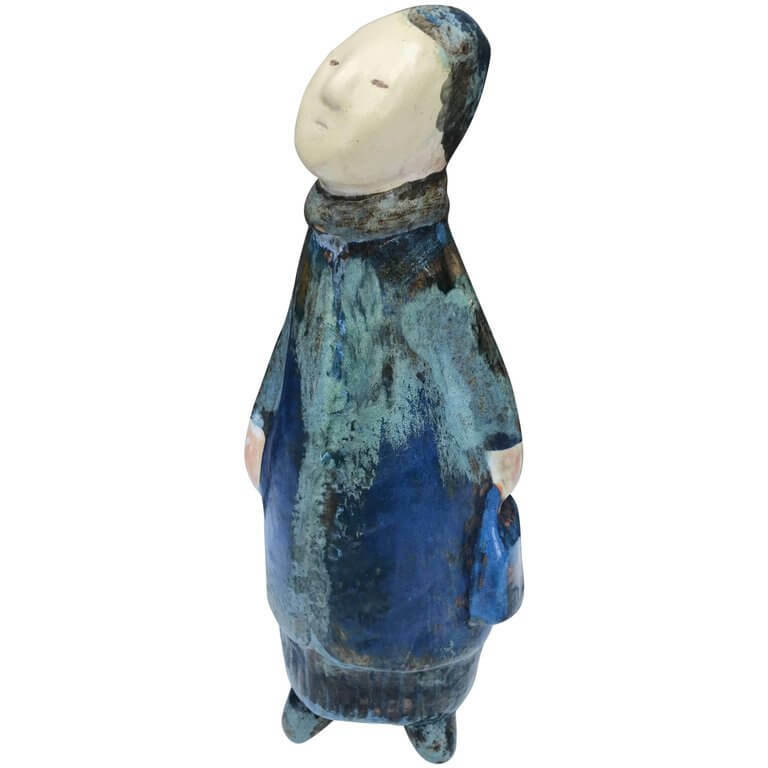 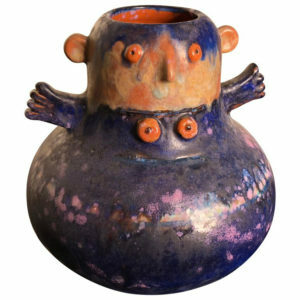 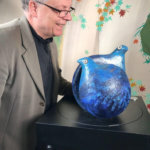 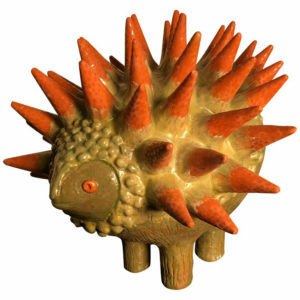 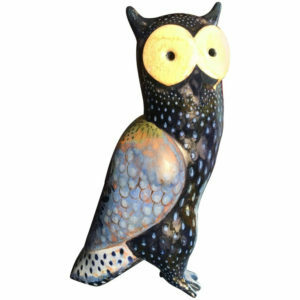 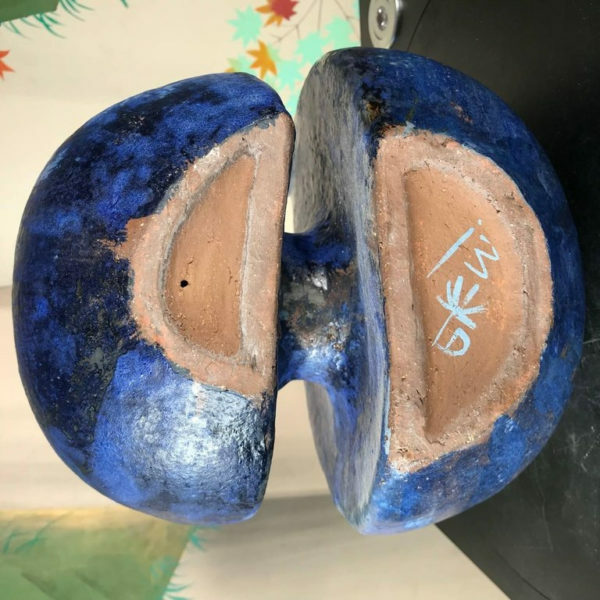 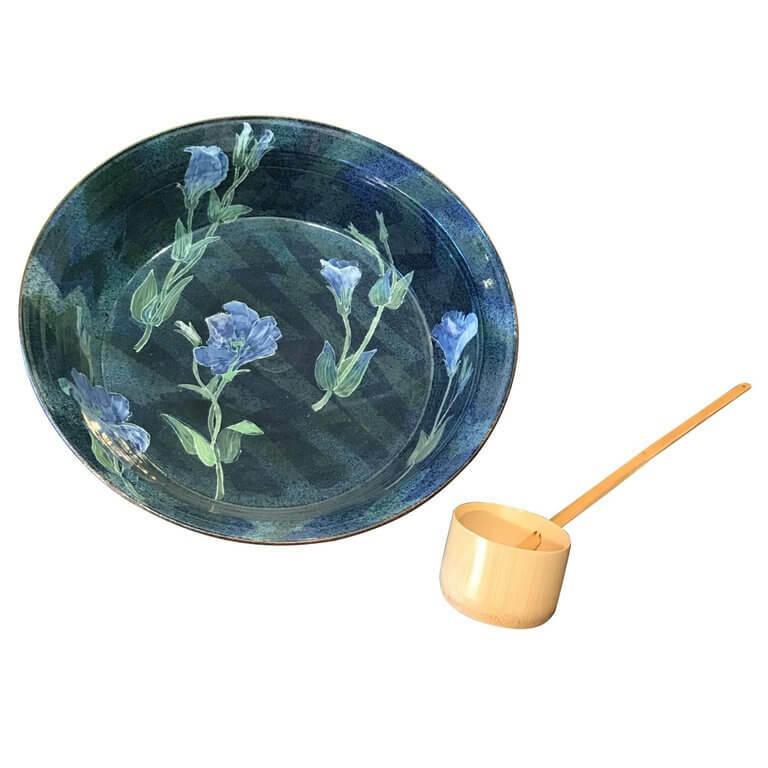 This is a creative handmade, hand-painted and hand-glazed sculpture that was designed and hand-painted by the now deceased master artisan Eva Fritz-Lindner working at Staatliche Majolika-Manufaktur Karlsruhe over the past 50 years. 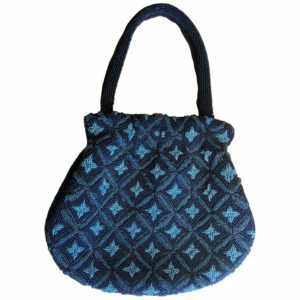 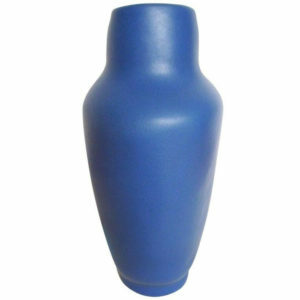 Creative design, lovely vivid colors, good opportunity to collect. 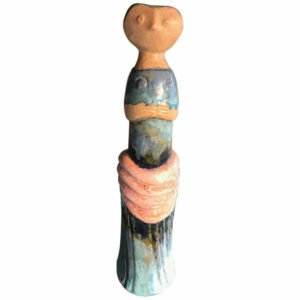 All her sculptures were hand-painted individually by this artist ensuring each work of art was indeed unique. 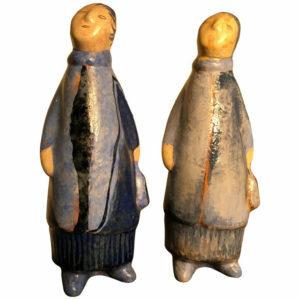 Most of her larger sculptures were likely produced in less than 100 copies Based Upon research and all were hand-painted individually by this artist ensuring each work of art was indeed unique. 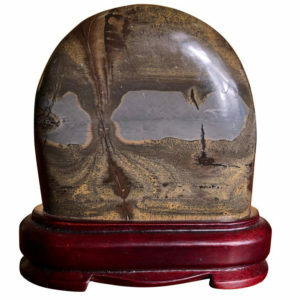 Largest scale works were either unique or limited to a handful of copies. 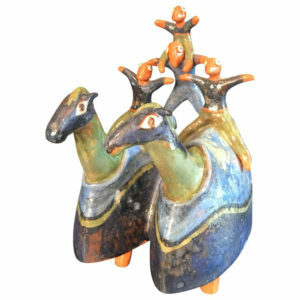 Our gallery based in Shelburne, Vermont USA has been dealing in Eva Fritz-Lindner works of art for many years. 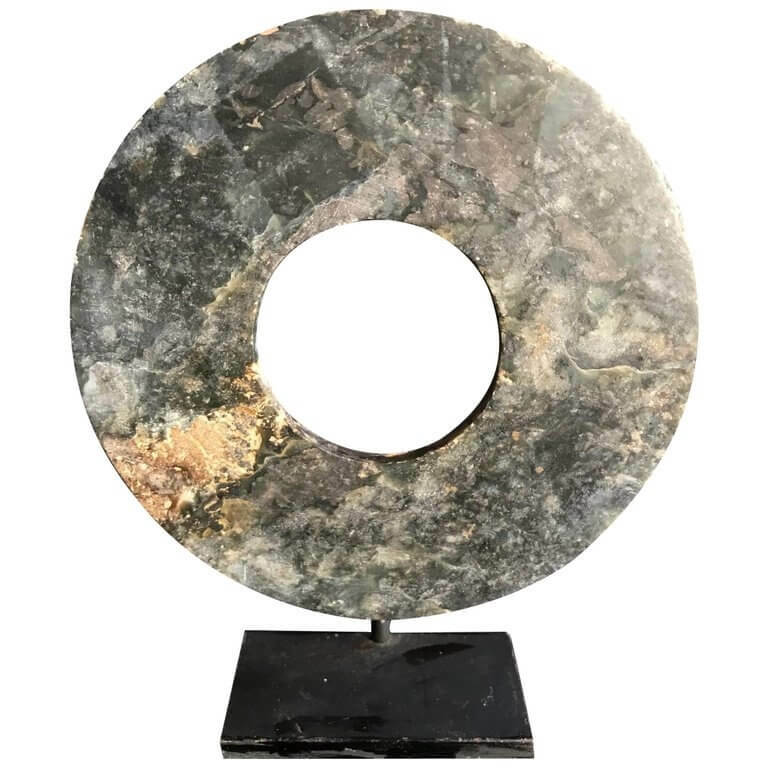 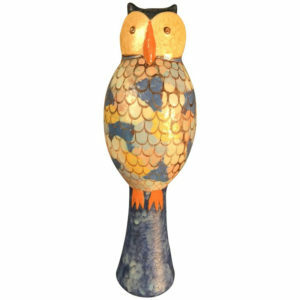 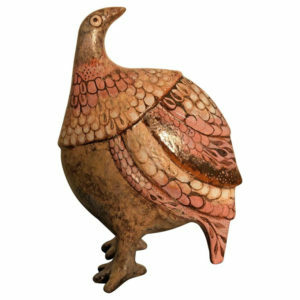 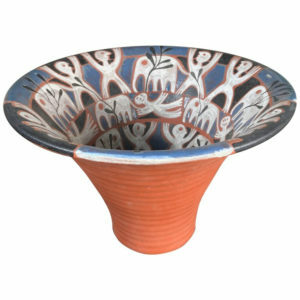 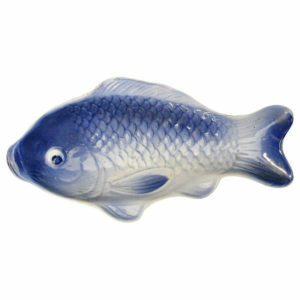 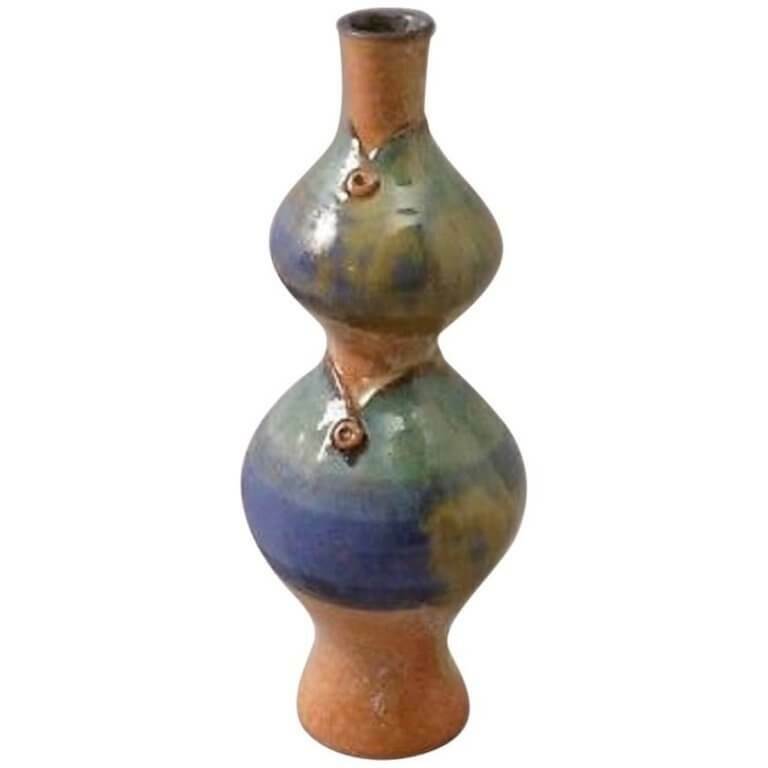 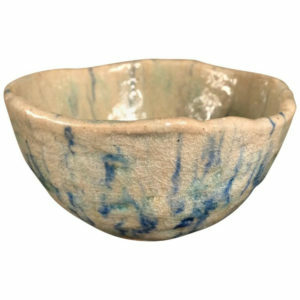 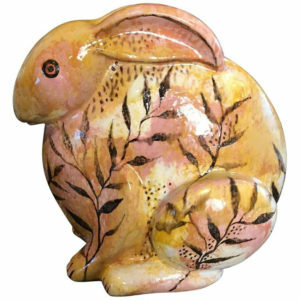 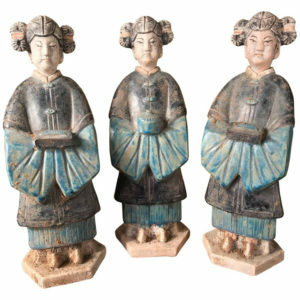 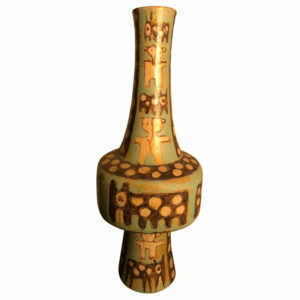 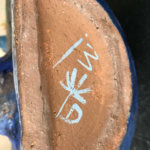 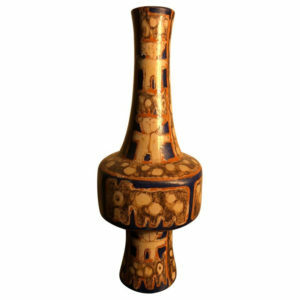 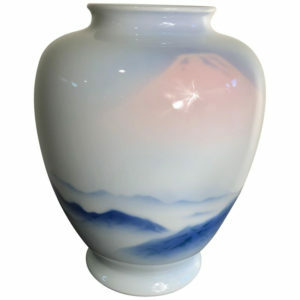 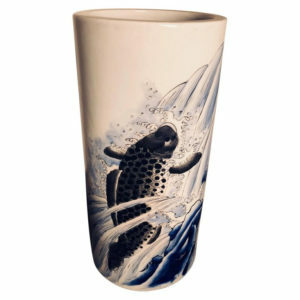 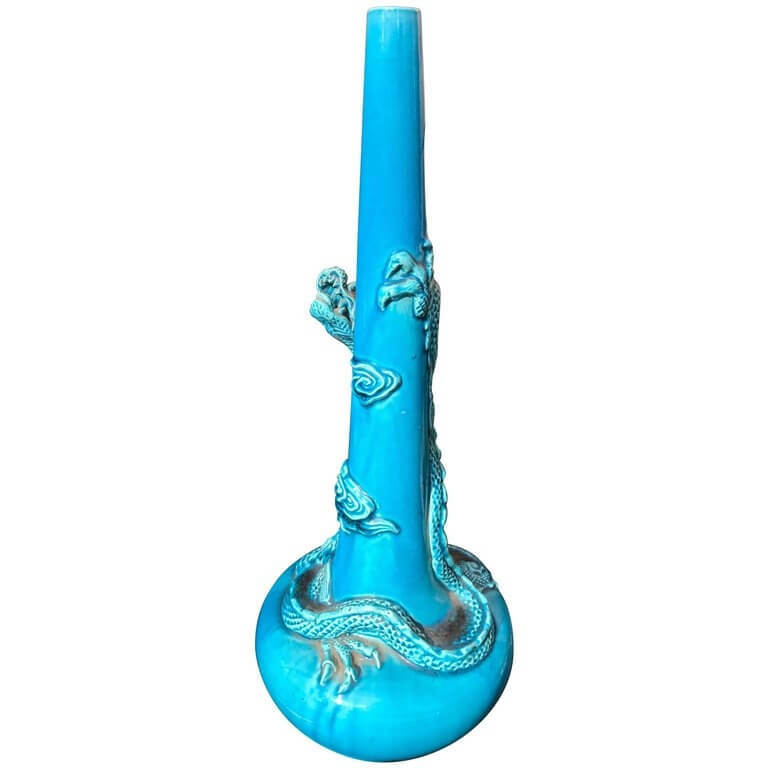 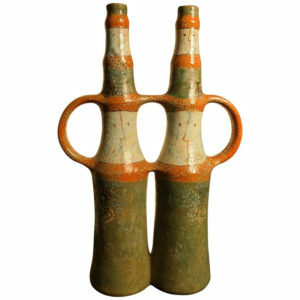 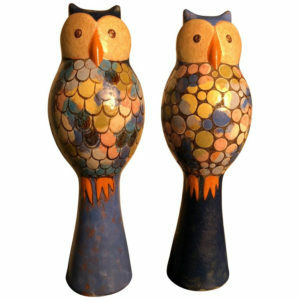 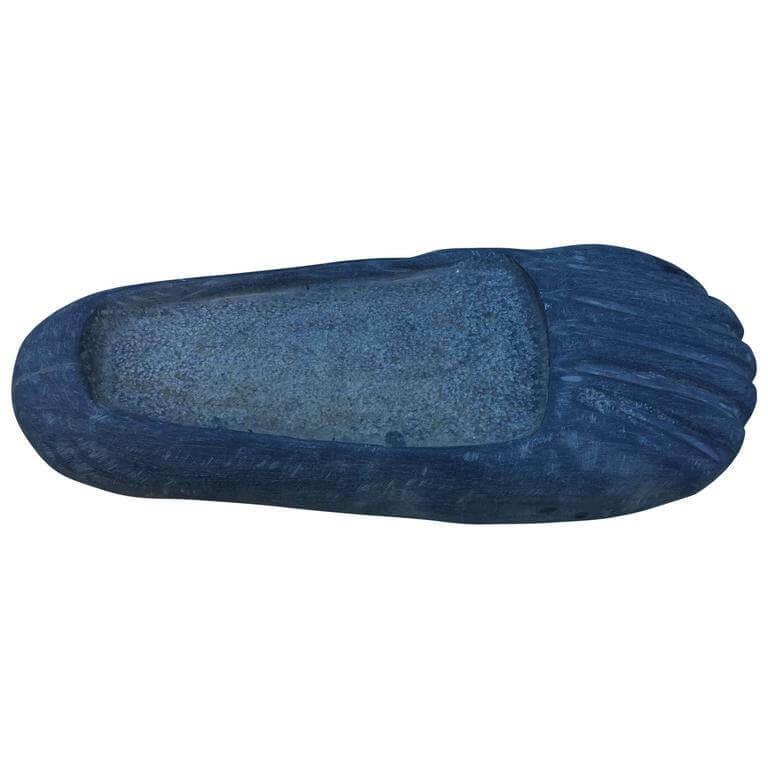 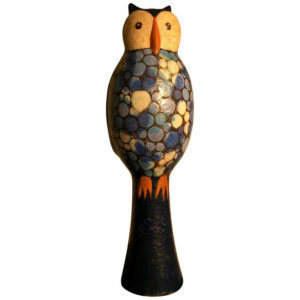 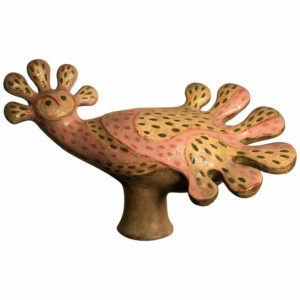 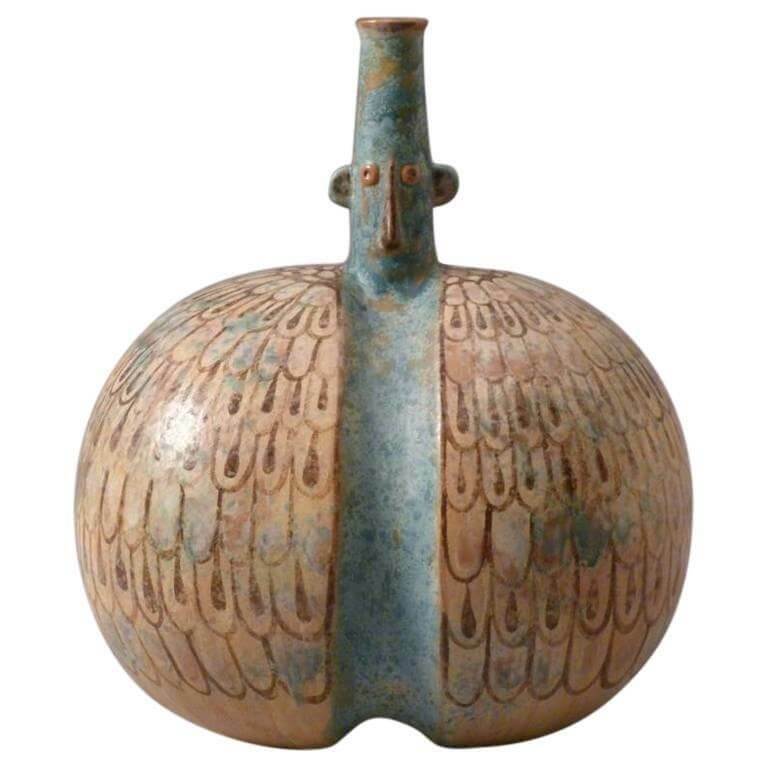 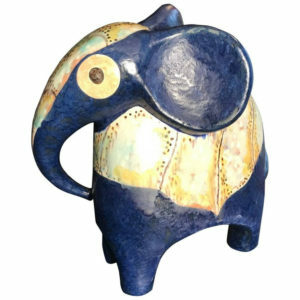 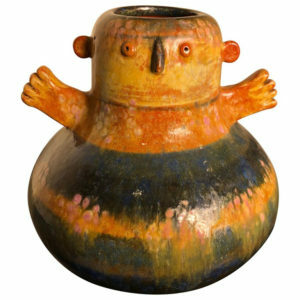 We also offer authentic Japanese , Chinese, and Fine Asian art, garden ornaments, lanterns and water basins for 25 years. 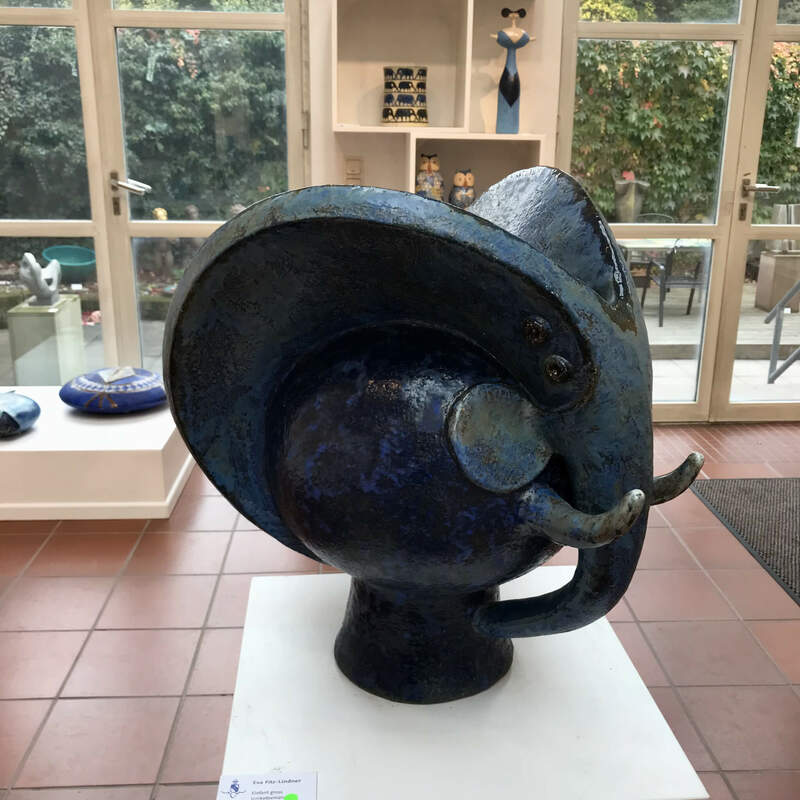 The president personally travels to Europe, China, and each year to meet his network partners who assist him in finding best examples. 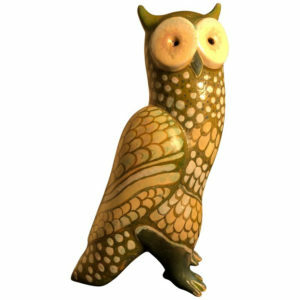 He personally inspects each antique work of art to ensure its old age, authenticity and quality condition.